Sports Injury Clinic for Sports Injuries West Midlands. The Atlas Sports Injury Clinic caters for all sports injury needs. Staffed by experienced Sports Physiotherapists, a Sports Podiatrist, Osteopaths and Sports Therapists, the friendly staff will get you back to fitness as quickly as possible. We have sports injury clinics in Tamworth, Atherstone and Solihull. Sports injury treatment is our speciality and should it be a runner or triathlete, golfer with back pain, a skier with a knee injury, an athlete, footballer, dancer or rider, we can help get you back to sport quickly and effectively. Atlas have a “fast recovery reputation” and have won customer service awards for two consecutive years. Most of our business is from personal recommendation which illustrates how effective we are. Are you a runner? We have a specialist Solihull Running Injury Clinic to cater for all levels of runner, ultra runner, marathon runner and triathlete. Biomechanical evaluations, laser foot scanning, video gait analysis and prescription orthotics, as well as training advice are always available. Birmingham Boxing star Frankie Gavin who won the world championship amateur title and commonwealth games gold medal before turning professional is a visitor to our Solihull Sports Injury Clinic. 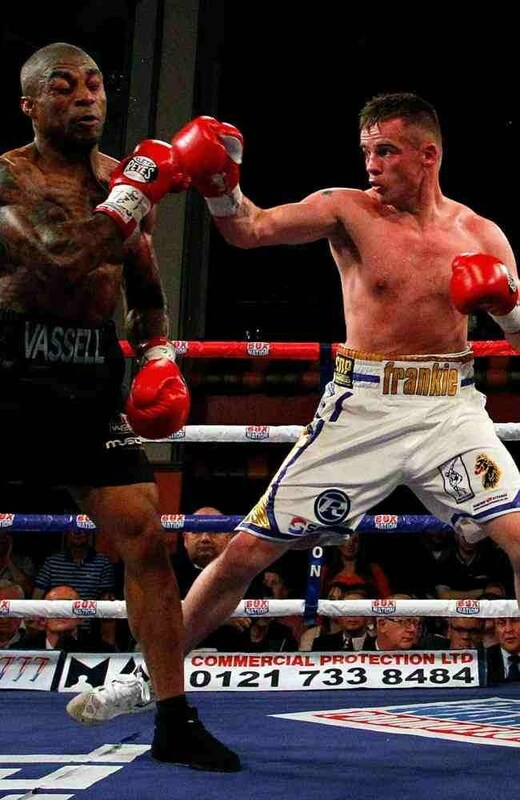 As a pro boxer he won the British Welterweight Boxing title from Jnr Witter in November 2012. Frankie also won the Commonwealth title in July 2013 and fought Kel Brook for the world title in 2015 losing to the unbeated champion. Tommy Langford is another top boxer who visits our clinic. Speak with a sports injury specialist today.